Krishnagiri means black hill where Krishna refers to black and giri stands for hill. Amidst breathtaking nature, Krishnagiri offers lot attractions to its tourists. Annually, thousands of tourist visit Krishnagiri . Most of the people come from the nearby cities like Bengaluru, Hosur and Chennai to take a break from their busy life. With beautiful landscape filled with black granite hillocks, green valleys, waterfalls, lakes and parks, Krishnagiri is one of the most popular tourist spot in southern India. Other than scenic beauty, Krishangiri also offers several temples, memorials, forts and archaeological sites to the tourists. Best time to visit Krishnagiri is between the months of October and March when the climate is cool. Krishnagiri is also one of the largest producers of Mangoes in India. 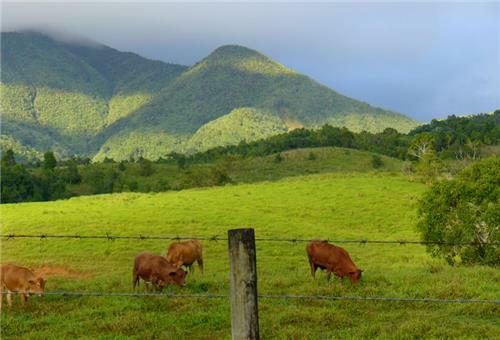 Santhur village in the district has over hundred and fifty mango groves which is surely a beautiful tourist attraction. During the harvest season, mango exhibition is organized in Krishnagiri where innumerable varieties of mangoes are displayed. Mango exhibition is a feast for mango lovers and opportunity for photographers to capture different colors of mangoes at one place. 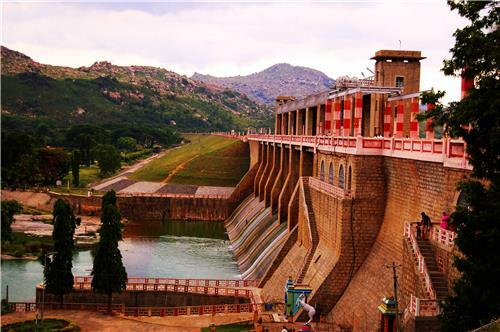 Constructed on River Thenpennai during 1960s, KRP Dam is located around 7kms away from Krishnagiri. It lies between Dharmapuri and Krishnagiri. This dam provides irrigation to thousands of acres of land in and around Krishnagiri. Tourist can enjoy a peaceful picnic near this dam with beautiful green vegetation. This dam is currently undergoing expansion showing the proof of working toward betterment. is built across the River Ponnair that flows from the slopes of Chennakesava Hills. Built in 1995 this dam became famous tourist attraction for landscaped gardens and children’s park. Tourist chooses this place to have a family picnic on holidays. It is located at a distance of 8 kms from Karnataka and 10 kms from Hosur. Krishnagiri is a place with history and heritage. Tourists can find forts and monuments that tell something about the history. The Government Museum hosts exhibits that depict the art, culture and heritage of Tamil Nadu. The first Governer General of Independent India Dr.C.RajaGopalachari was born in the Krishnagiri district. The Government of Tamil Nadu has converted his house in Thorapalli into a memorial. Rayakottah is a hill fort built on Palghat plateau. It is located at a distance of 30 kms away from Hosur. This fort was of utmost importance for the British as their troops were stationed in this fort until 1861. Rayakottah Fort has gone through many Mysore wars during the British rule. Every wall of this protected fort tells a story. 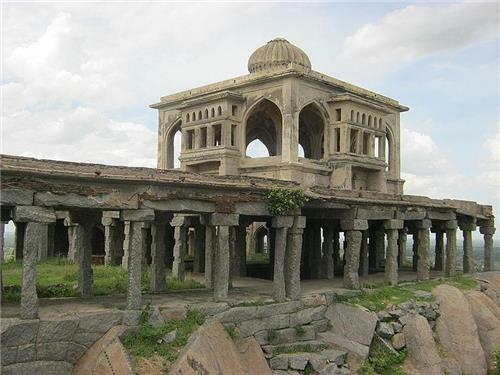 Krishnagiri Fort built on the Hill of Krishnagiri is one of the strongest forts in Krishnagiri. It was built by the Emperor of Vijayanagar King Krishnadevaraya. Today, this fort is being protected by the Archeological Survey of India. 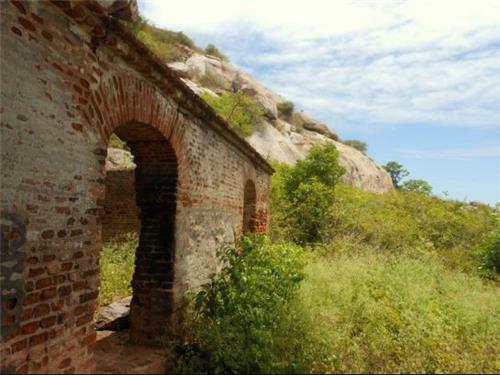 The Fort is located to the North of Tiruvannamalai Road. And by climbing the stairs made of granite, one can reach to the top of the fort. 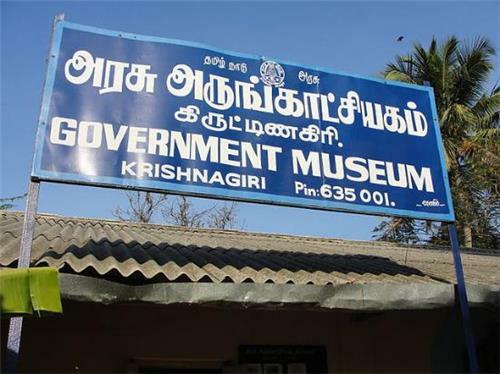 The Government Museum of Krishnagiri was opened in 1993 on Gandhi Salai. This museum exhibits historical monuments that depict the art, culture, architecture and heritage of Krishnagiri. The museum also collects and preserves any monuments that are of historical importance. The great freedom fighter Rajaji was born in Krishnagiri district. The government of Tamil Nadu converted his house in Thorapalli to a memorial and opened it for visitors. The memorial is located at a distance 10 kms from Hosur. The memorial displays his belongings and a gallery that shows him in different stages of his life. Archeologists confirm that there is evidence that people from Paleolithic age, Neolithic age and Mesolithic age lived in Krishnagiri. Various types of carvings and paintings on the rock were found in the district that belonged to the ages of Indus Valley Civilization and Iron Age. Archeologists have discovered more than 100 dolmens of 4 different kinds at one single place called Moral Pari in Mallachandram. 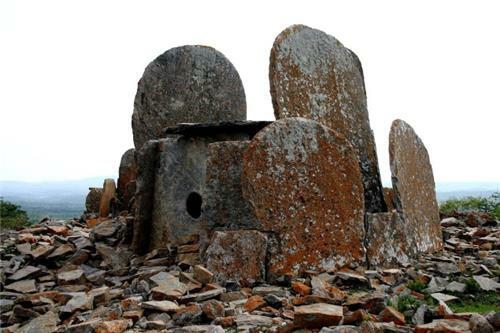 These dolmens are said to be from megalithic age. Apart from dolmens, archeologists have also found stone paintings and carvings. Mallachandram is located at around 19 kms away from Krishnagiri and 4 kms from Samalpallam. The site protected and maintained by the Archeological Survey of India. Apart from dams, forts and museums, tourists in Krishnagiri can also enjoy their holiday in the pleasant weather of Thali or visit many ancient temples like Chandra Choodeswara temple, Shree Parsha Padmavathi Shaktipeet Tirth Dham and Hanumanthathirtham that were built by different rulers of the area. Thali is a beautiful place located around 25 kms from Hosur. This place was called 'Little England' by Britisher for its cool climate and natural beauty. Thali is located on valleys and cliffs making it very attractive. Thali is covered with hills and the weather is always cloudy making it a favorite weekend getaway for the visitors from the nearby cities. 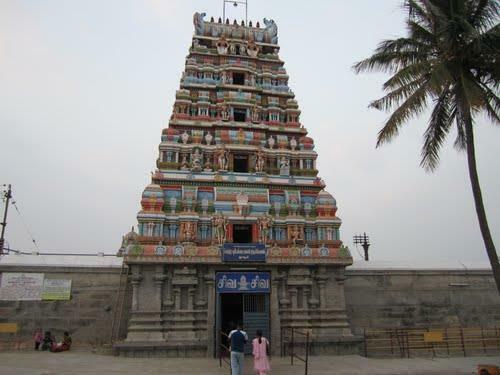 The temple is located in Hosur, NH-7. This temple is built on a hillock and is frequently visited by the people of Karnataka. The tourism department has built a children’s park and a observatory beside the temple on the hill. Tourists can take accommodation in the guest house near the hillock which is run by the Tamil Nadu Tourism department. 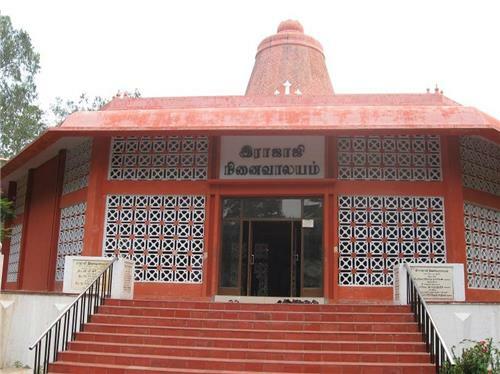 7 kms from Krishnagiri in the village of Orappam is the spiritual organization Krishnagiri Shaktipeetam. Through different endeavours, the Shaktipeetam drives the devotees towards spiritualism away from fake materialism. This institution was found by His Holiness Sri Sri Sri Vasanth Gurudev Ji. Sri Parshwanath Bhagwan, 23rd Thirthankara of24 thirthankaras of Jainism is worshipped in this institution. Jainism give importance to Atma Sadanam which means to search one’s own true self. This shaktipeetam motivates the devotees to find their inner peace by offering bhakti and doing pooja. 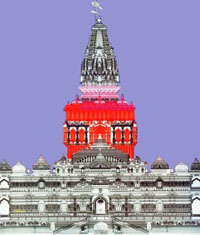 This institution has won records worldwide for promoting world peace and harmony through various deeds. Visitors can find one self at peace and harmony when they visit this shakipeetam. 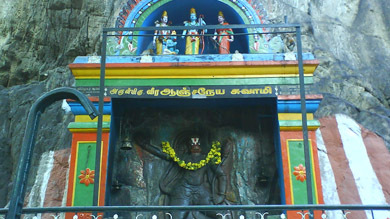 Hanumanthathirtham is situated on the banks of River Ponnaiyar. It is around 10 kms away from Uthangarai. 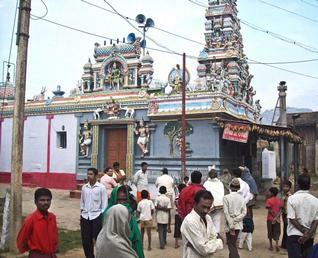 This temple is one of the main religious attractions in Krishnagiri. The story goes that Lord Rama asked Hanuman to bring water from Ganges to Tirtamalai where he was doing his penance. But Hanuman could not bring the water on time. So, it is believed that Lord Rama did Ashtaprayoga to get the water from Ganges. When Hanuman came to know about this he threw the holy water in disappointment. The place where the water fell is called Hanumanthathirtham. People visit this place in huge numbers during the tamil holy month of Aadi that falls in July-August. This 2500 years old temple is situated on Nh-7 near Krishnagiri. It is located at a distance of 40 kms from Hosur. The God Anjaneyar of this temple is believed to be very powerful. If you have any unfulfilled wish, you can buy a saffrom bag od coconut with beteal leaves and nuts for Rs.50 and go around the temple 11 times chanting the sacred mantra Sri Ram jai Ram Jai Jai Ram. Then you can tie the bag, you will be given a card with your name, address and date by the priest. It is believed that your wish will be fulfilled in 3 months. Once the wish is fulfilled, you have to come back give the card to the priest and claim you coconut bag. The Nandi in this temple is also said to be powerful. The Nandi is said to be growing year after year. Krishnagiri being an important tourist attraction Visitors can find themselves a comfortable accommodation in the Hotel Tamil Nadu operated by the Tamil Nadu Tourism Development Corporation (TTDC). Krishnagiri has a number of restaurants offering vegetarian and non-vegetarian food. While on a visit to the state, one must try an authentic Tamil thali.